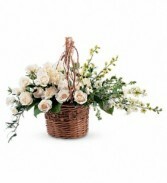 Peaceful Basket Arrangement in Presque Isle, ME - COOK FLORIST, INC. 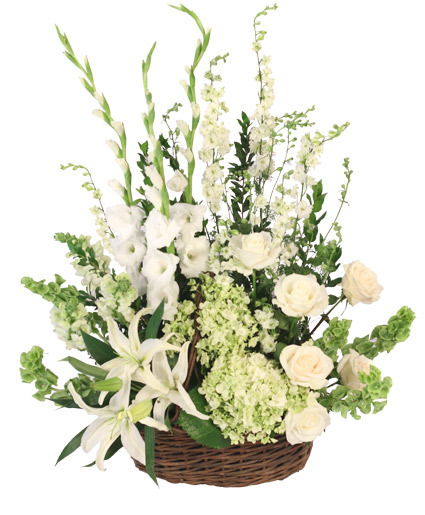 Celebrate your sunny memories of someone special with this tall funeral floral arrangement, presented in a graceful urn. 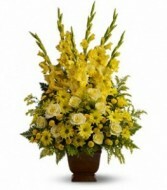 The sunny yellow flowers are a classic statement of never-ending friendship and love. A tractor spray of cushion spray poms and other floral accents designed in a shape of a tractor.